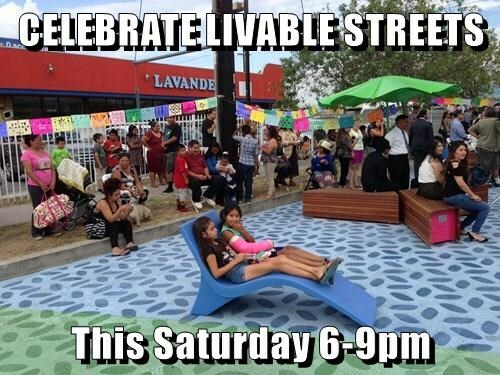 Celebrate with Streetsblog this Saturday! If you’re reading this… well, then, you read Streetsblog Los Angeles. Hopefully you’re here because you like what we do. It’s not just readers like you that appreciate Streetsblog. We’re happy to also be acknowledged by the Los Angeles Press Club. Streetsblog L.A. was recently awarded the Press Club’s award for Best Group Blog and SBLA Communities Editor Sahra Sulaiman was awarded Best Online Feature for her article To Be or Not To Be a Gang-Banger: Is that Really the Question? SBLA also pulled some runners up prizes: 2nd for Best Online News Story, 3rd for Best News Photo, 3rd for Best Online Lifestyle Piece, while our sister publication LongBeachIze’s Brian Addison won Best Online Journalist. So we’re celebrating this weekend! Join team Streetsblog for a garden party at Los Angeles Eco-Village in Koreatown. Tickets are $25 on a sliding scale. The event runs from 6 to 9 p.m. RSVP via Eventbrite. Share and get more event details at Facebook. If you’d like to donate to support us, but can’t make Saturday, you can always make a donation by clicking here, or sending a payment to damien@streetsblog.org on paypal. If you’re really 21st century, you can even make a bitcoin donation by clicking here. Come celebrate with us while making sure we can continue to provide the stories that you read and enjoy! Streetsblog Fundraiser at the Eco-Village!